This is a custom designed ring is made in 14 Karat yellow and white gold. It has the thumbprint of the client embedded in the background behind the scales of justice. 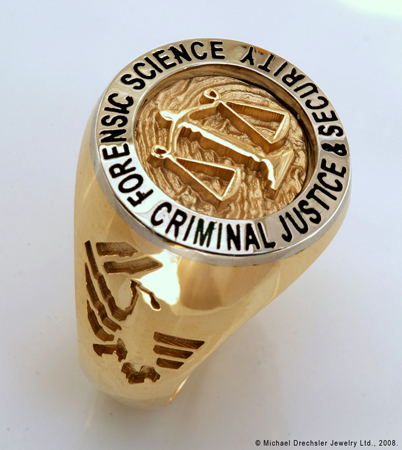 This was a custom designed graduation ring for the clients degree in Forensic Science.